During the Washington and his army, after crossing the icy Delaware River to Trenton, defeated the Hessian troops garrisoned there. 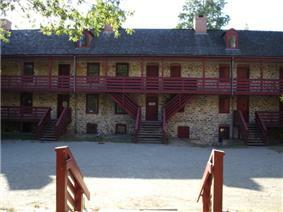 After the war, Trenton was briefly the national capital of the United States in November and December 1784. The city was considered as a permanent capital for the new country, but the southern states favored a location south of the Mason-Dixon Line. Trenton is located at (40.223748,-74.764001). According to the United States Census Bureau, the city had a total area of 8.155 square miles (21.122 km2), of which, 7.648 square miles (19.809 km2) of it was land and 0.507 square mile (1.313 km2) of it (6.21%) of it was water. 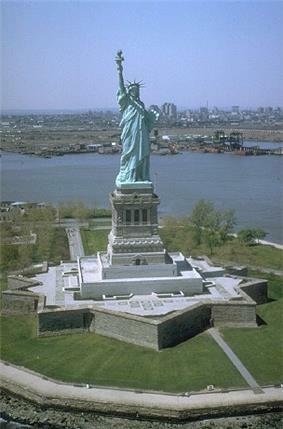 At the 2010 United States Census, there were 84,913 people, 28,578 households, and 17,747 families residing in the city. The population density was 11,101.9 per square mile (4,286.5/km2). There were 33,035 housing units at an average density of 4,319.2 per square mile (1,667.7/km2). The racial makeup of the city was 26.56% (22,549) White, 52.01% (44,160) Black or African American, 0.70% (598) Native American, 1.19% (1,013) Asian, 0.13% (110) Pacific Islander, 15.31% (13,003) from other races, and 4.10% (3,480) from two or more races. Hispanics or Latinos of any race were 33.71% (28,621) of the population. There were 28,578 households, of which 32.0% had children under the age of 18 living with them, 25.1% were married couples living together, 28.1% had a female householder with no husband present, and 37.9% were non-families. 30.8% of all households were made up of individuals, and 9.1% had someone living alone who was 65 years of age or older. The average household size was 2.79 and the average family size was 3.40. In the city, 25.1% of the population were under the age of 18, 11.0% from 18 to 24, 32.5% from 25 to 44, 22.6% from 45 to 64, and 8.8% who were 65 years of age or older. The median age was 32.6 years. For every 100 females there were 106.5 males. For every 100 females age 18 and over, there were 107.2 males. The Continental Army launched the Battle of Trenton during the American Revolutionary War. 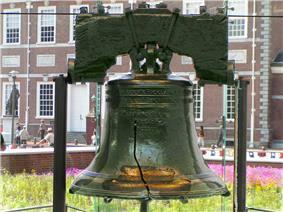 It faces downtown Trenton and is a symbol of the city's historic past. New Jersey's Twelfth Congressional District is represented by Rush D. Holt, Jr. (D, Hopewell Township). New Jersey is represented in the United States Senate by Cory Booker (D, Newark; took office on October 31, 2013, after winning a special election to fill the seat of Frank Lautenberg) and Bob Menendez (D, Paramus). For the 2014-2015 Session, the 15th District of the New Jersey Legislature is represented in the State Senate by Shirley Turner (D, Lawrence Township, Mercer County) and in the General Assembly by Reed Gusciora (D, Trenton) and Bonnie Watson Coleman (D, Ewing Township). The Governor of New Jersey is Chris Christie (R, Mendham Township). The Lieutenant Governor of New Jersey is Kim Guadagno (R, Monmouth Beach). Schools in the district (with 2010-11 enrollment data from the National Center for Education Statistics) are Columbus Elementary School (PK-8; 228), Franklin Elementary School (K-5; 343), Grant Elementary School (PK-8; 506), Gregory Elementary School (PK-8; 371), P.J. Hill Elementary School (PK-8; 506), Dr. Martin Luther King Elementary School (was Jefferson; 461), Monument Elementary School (PK-8; 365), Mott Elementary School] (PK-8; 375), Parker Elementary School] (P-5; 402), Robbins Elementary School] (K-5; 395), Robeson Elementary School] Stokes Elementary School] (K-5; 165), Washington Elementary School] (PK-5; 300), Wilson Elementary School] (PK-5; 349), Calwalader 6-8 Alternative Program (was PK-5; 185 students), Dunn Middle School (6-8; 445), Hedgepeth/Williams Middle School (was PK-8; 716), Kilmer Middle School (was PK-8; 452), Rivera Middle School, Daylight Twilight High School (9-12; 369), Trenton Central High School (9-12; 1,741) and Trenton Central High School West (9-12; 621). In 2005, there were 31 homicides in Trenton, which at that time was the largest number in a single year in the city's history. The city was named the 4th "Most Dangerous" in 2005 out of 129 cities with a population of 75,000 to 99,999 ranked nationwide. 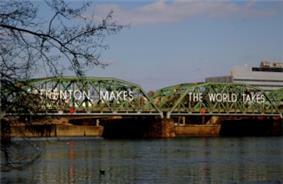 In the 2006 survey, Trenton was ranked as the 14th most dangerous "city" overall out of 371 cities included nationwide in the 13th annual  Homicides went down in 2006 to 20, but back up to 25 in 2007. In September 2011, the city fired 108 police officers due to budget cuts; this constituted almost one-third of the Trenton Police Department and required 30 senior officers to be sent out on patrols in lieu of supervisory duties. outfielder who played for the Washington Senators. ^ U.S. Geological Survey Geographic Names Information System: City of Trenton, Geographic Names Information System. Accessed March 14, 2013. 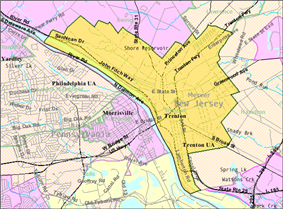 ^ Reconsidering Trenton: The Small City in the Post-Industrial AgeRichman, Steven M.
^ "Station Name: NJ TRENTON MERCER CO AP". National Oceanic and Atmospheric Administration. Retrieved 2013-02-28. 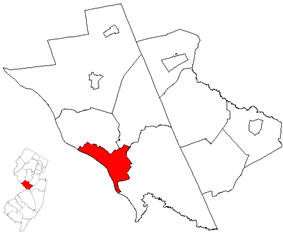 ^ New Jersey Resident Population by Municipality: 1930 - 1990 at the Wayback Machine (archived May 2, 2009), Workforce New Jersey Public Information Network, backed up by the Internet Archive as of May 2, 2009. Accessed January 10, 2012. ^ "New Jersey - Race and Hispanic Origin for Selected Cities and Other Places: Earliest Census to 1990". U.S. Census Bureau. ^ a b Elected Officials, p. 14. Mercer County, New Jersey, Revised January 26, 2012. Accessed February 12, 2014. ^ "'"Acting Mayor George Muschal assumes office and vows to put Trenton 'on the right track. The Times (Trenton). February 26, 2014. Retrieved March 22, 2014. ^ a b Pizzi, Jenna (March 4, 2014). "Trenton council to vote to install George Muschal as interim mayor". The Times (Trenton). Retrieved March 22, 2014. ^ Cory A. Booker, United States Senate. Accessed November 5, 2013. ^ Nutt, Amy Ellis (October 31, 2013). "Booker is officially a U.S. senator after being sworn in". NJ.com/Associated Press. Accessed October 31, 2013. ^ Biography of Bob Menendez, United States Senate. Accessed November 5, 2013. "He currently lives in North Bergen and has two children, Alicia and Robert." ^ Senators of the 113th Congress from New Jersey. United States Senate. Accessed November 5, 2013. 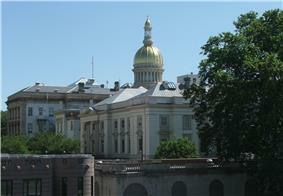 ^ Legislative Roster 2014-2015 Session, New Jersey Legislature. Accessed January 29, 2014. ^ District 15 Legislators, New Jersey Legislature. Accessed January 29, 2014. ^ "InsideOut: Fifty Years Behind the Walls of New Jersey's Trenton State Prison". Windsorpress.net. Retrieved 2010-07-29. ^ Mercer County Bus / Rail Connections at the Wayback Machine (archived May 22, 2009), New Jersey Transit, backed up by the Internet Archive as of May 22, 2009. Accessed November 20, 2012. 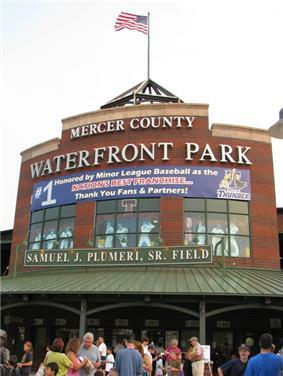 ^ "Ball Parks of the Minor Leagues – Samuel J. Plumeri Field at Mercer County Waterfront Park – Trenton Thunder". Littleballparks.com. Retrieved July 15, 2010. ^ Josh Pahigian (2007). The Ultimate Minor League Baseball Road Trip: A Fan's Guide to AAA, AA, A, and Independent League Stadiums. ^ Host: Ty Treadway at the Wayback Machine (archived January 13, 2008), Merv Griffin's Crosswords. Archived as of January 13, 2008. Accessed March 20, 2012. "Ty Treadway was born Tyrus Richard Treadway on February 11 to Richard and Mary Lou Treadway. Ty joined six older siblings, and the family resided in Trenton, New Jersey."